California-based real estate expert Fred Wehba is one of the most well-known names in the world of commercial property management, acquisition, and business development. Through his 40 years in the industry, Fred Wehba has accumulated a resume of transactions from New York to California and everywhere in between. Wehba has been involved in real estate deals all across the United States and has served as a mentor for countless young professionals. He is described by clients as possessing an invaluable personal knowledge of the industry. Fred Wehba has also leveraged his professional success to establish and organize a number of charities throughout Southern California. For his efforts in supporting nearly three dozen humanitarian organizations, Fred Wehba has earned a reputation as one who works so that he can give. During the course of his career, he has used his assets and connections to enhance the lives of thousands of individuals in the United States and abroad. Notably, Fred Wehba considers himself above all else a family man. Wehba and his wife Susan have four children and have been married for over 30 years. He believes in teaching by example to represent the morals of a strong Christian faith. Wehba has encouraged his family to become involved in his altruistic endeavors and believes that giving back to the local community is one of the best ways to honor God and country. An influential business leader, Fred Wehba has been blessed with the unique circumstances of inspiring the next generation of professionals. In 2004, California Baptist University honored Fred Wehba with the Spirit of Philanthropy award. He and Susan have also been recognized by the Muscular Dystrophy Association with a Humanitarian Award for their efforts in eradicating childhood disease. A former Eagle Scout, Fred Wehba has enjoyed the opportunity to use his position to bring awareness to important social and economic issues across the globe. He has served numerous times on the board of directors for the Boy Scouts of America and was honored in 1990 as Los Angeles’ Man of the Year by former mayor Tom Bradley. Fred Wehba holds a bachelor’s degree from the University of North Texas and was noted throughout his academic career for his natural musical ability. He is a gifted vocalist who continues to encourage a love of the arts in his own adult children. Fred Wehba had humble beginnings growing up in rural Texas. His father was a hard-working man who owned a small chain of grocery stores. Working in the family business, Fred Wehba learned at an early age the value of putting people first. He has often said that his time stocking shelves continues to impact many of his business decisions today. After graduating from college in 1989, Fred Wehba decided to step out into the world of self-employment. By 1993, he owned a successful commercial real estate company that has helped facilitate many real estate transactions across the United States. Fred Wehba maintains an amiable working relationship with a great number of the industry’s most noted leaders. This has allowed him access to insights which he uses to improve his clients’ real estate portfolios. He is a member of the Who’s Who of American Business Leaders, an honor earned by his insistence on integrity and unrivaled enthusiasm for the commercial real estate industry. This recognition is reflective of Wehba’s never-ending passion for helping his clients achieve success. Fred Wehba never lets his past successes get in the way of his thirst for knowledge, and he approaches each professional opportunity with the same optimism as his first. Fred Wehba is experienced in virtually all aspects of the commercial real estate field. He is a respected leader and broker and has managed some of the largest portfolios in the nation. Fred Wehba is versed in asset management, mergers and acquisitions, real estate economics, and business strategy in both corporate and commercial real estate. 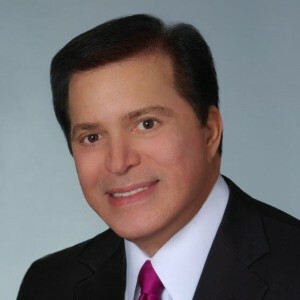 He has devoted the core of his professional life to mastering crucial real estate activities including commercial mortgages, real estate financing, investment properties, program management, commercial mortgage acquisition, financial structuring and restructuring, lease administration, land acquisition, financial analysis and valuation, private equity, location intelligence, and joint venues. Wehba also has a deep knowledge base regarding both foreign and domestic real estate transactions. Fred Wehba is a husband and father who believes that his family’s strength is derived from a solid devotion to Christ. Raised in a strong Southern Baptist family, Wehba planted his own roots in the church and continues to serve his community through his local congregation. Wehba has been married to his wife, whom he affectionately calls “Suzi,” for nearly four decades. An avid traveler, Fred Wehba enjoys submerging himself in the many cultures found across the globe. His two favorite vacation destinations are Bora Bora and Italy. According to Fred Wehba, Matira Beach in Bora Bora is one of the most beautiful and easily accessible public spaces in the world. While the South Pacific may have given him an opportunity to relax, Fred Wehba says Italy inspired his love of fine cuisine. He considers himself somewhat of a foodie and enjoys spending weekends in the kitchen, preparing traditional Italian fare. With personal beliefs that inform his business dealings, Fred Wehba approaches his professional transactions in much the same way as his private dealings. He always looks at business as another way to practice genuine faith and says he strives to be a leader by treating his colleagues with respect. Fred Wehba has gone on record many times stating that God’s gifts can be used for good both in business and in the local church. He is somewhat unique among high-profile businessmen for an outspoken devotion to his faith. When he isn’t working, cooking, traveling, or volunteering, Fred Wehba enjoys spending time mentoring young businessmen and women. He says he receives great pleasure assisting eager professionals find their passion and live out their dreams. Fred Wehba takes a great deal of pride in working with others, teaching them how to become their own bosses and take control of their personal and professional lives.